The City of Edmonton appears to be leaning away from developing suburbs and shifting focus instead to more central neighbourhoods. The City of Edmonton appears to be leaning away from developing suburban neighbourhoods and shifting focus to more central parts of the city. At a council meeting Tuesday, councillors voted unanimously to look at selling greenfield in residential areas — land on the outskirts of the city that has not been built on before. Coun. Michael Walters put forward the motion, saying he doesn't think the city should be in the business of developing suburbs. "We are promoting what we call an urban shift, or an investment shift, trying to move more development to the core." Council is moving toward developing areas like Rossdale, the Exhibition Lands and the Quarters. "Those kinds of areas that can be amazing urban districts, which I think are going to be a big part of the city's future," Walters said. 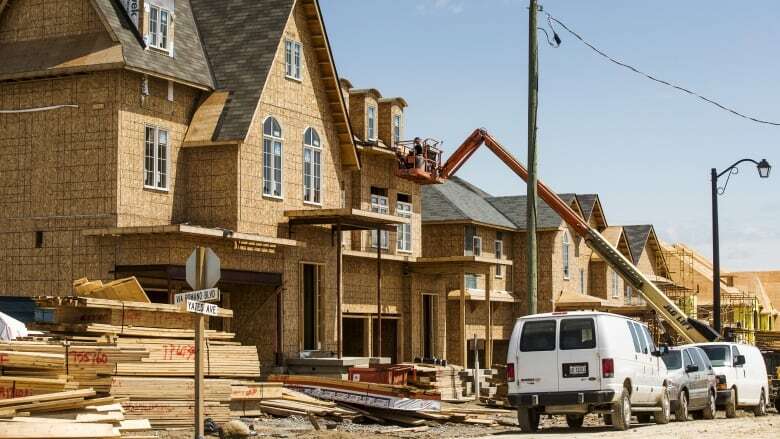 The city is developing about 970 acres in areas like Ellerslie in the south, Goodridge Corners in the north and parts of Schonsee in the northeast. After installing the infrastructure such as sewers and roads, the city then sells to developers. Walters noted the city makes about $1 million a year on the dividends from selling the land — an amount he called "meager." He said if the city sells the unserviced land instead, it could use that money to invest in places like Rossdale, improving roads and installing infrastructure there to get it ready for housing. "What's going to make it more attractive for private investment?" The motion excludes an area called Laurel Green, south of 23rd Avenue between 22nd and 27th streets. Of the 166 lots there, 102 were sold through a public lot selection process, the city website said. The Laurel Green development allows for single-family homes with garages that can be used as secondary suites and semi-detached homes, including duplexes. Council directed administration to report back by the end of the year on options for selling the greenfield land, and what the city could do with the money. The city won't say how much the land may be worth. Aaron Paquette voted for the motion but said he doesn't completely agree the city should cut off a reliable source of revenue. "Why kill the goose that laid the golden egg?" he asked. "Instead of doing a fire sale, what if we actually used our assets strategically to further city goals?" Paquette thinks the city should use the greenfield land to help develop more affordable housing. "We could get a lot more done a lot faster," Paquette said of affordable housing projects. Mayor Don Iveson supported the motion and said he thinks the city needs to refresh its approach by focusing on developing places like the Exhibition Lands. "Some of these big projects are going to take a lot of money and a lot of attention, a lot of focus," he said. The shift would support more infill and create denser neighbourhoods, Iveson said. "It's more about us shifting our focus from suburban development, which the market does very well, to the infill side, where you have to lean in a little bit more." The motion also calls for an updated strategy to prioritize use of city-owned land to achieve urgent housing goals.